Available to level 65 players, and players can access the same way as existing Guardian Legion missions. 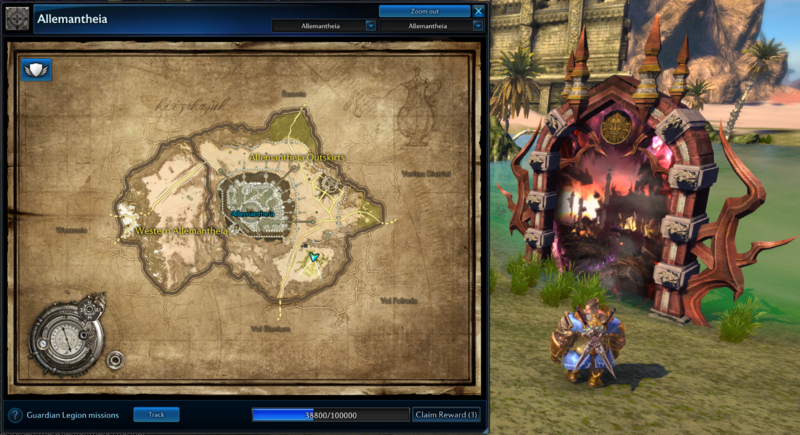 Open the World Map > press the Guardian Legion toggle > select the desired mission > confirm teleport. New missions are channel-gated. The missions' descriptions denote valid channels. The guidance quest 'Aerial Guardian' is available to level 65 players with ilvl 412 or higher gear. Missions take place in the air, so players must use a flying mount. 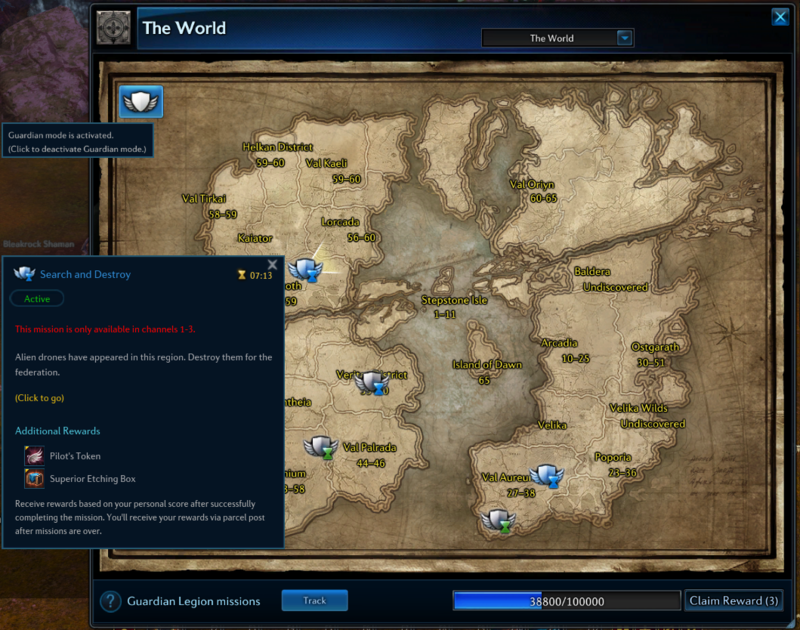 Players gain Guardian Legion points from the flying missions in the same way as existing Guardian Legion missions. Added a corresponding Guardian Legion Flight Mission Vanguard Request. Complete the Vanguard Request by picking up or destroying orbs. Rebalanced Superior Guardian Legion Mission point distributions. Passive Skill that increases acceleration efficiency while on flying mounts. You must learn these in order (eg. learn I to be eligible to learn II). Miscellaneous items are subject to change; currently include Dragon Scales and rubies. Reopened Demon’s Wheel as an Event dungeon; entry schedule to come (Follow our Twitter and visit our Twitch stream to stay up to date!). Requires ilvl 439 for instance matching, and 2 entry (4 for Elite) per day (when the event is active). Access via portal door in Allemantheia Outskirts. Additional Rewards include: Gold Ticket and Superior Etching Box. Added Care and Use of Your Pet Puck (HP). Increased drop amount of Hypnotic Device. Decreased drop amount of Archdevan Formula. Added Care and Use of Your Pet Puck (MP). Increased drop amount of Archdevan Surfactant. Increased drop amount of Liquid Metal. Decreased drop amount of Carved Ornament. Increased Vanguard Initiative Request gold reward. Added Care and Use of Your Pet Misty (MP). Increased drop amount of Archdevan Formula. Added Care and Use of Your Pet Misty (HP). Added effect to skill’s buff increasing skill damage to monsters by 5 percent. Changed maximum endurance debuff stack from 3 to 1. Changed endurance debuff effect of 1 stack from 4 to 12 percent. Changed effect target count from 6 to 5 targets (1 targeted, 4 nearby). Changed effect target count after using Challenging Shout from 30 players to 5 players (PVP). Changed to increase cooldown from 6 to 8 minutes. Changed abnormality duration from 10 to 5 seconds. Increased endurance debuff effect from 10 to 12 percent in Defensive Stance. Added two additional levels to skill; learnable levels are now 12, 35, and 61. Added an additional level to skill; learnable levels are now 32, 52, and 65. Added an additional level to skill; learnable levels are now 14, 26, 38, 50, and 61. Added an additional level to skill; learnable levels are now 12, 20, 26, 32, 38, 44, 50, 56, and 63. Cannot use this skill while staggered or knocked-down. Visual effect will now only be displayed when skill is toggled on or off. Decreased PVP damage by 70 percent. Decreased PVP damage by 40 percent. Guardian Sanctuary resets cooldown of Backstep. Increased damage reduction from 20 to 30 percent. Decreased cooldown from 7 to 6 seconds. Champions’ Skyring entry times have been changed to 00:00 - 06:00 UTC everyday. Pit of Petrax exploit has been resolved and Leaderboard rewards will return to normal for this season. Akasha’s Shade in Dreadspire will no longer charge repeatedly upon use of a Shape Changer item. Summer Festival Claret and Temple Medallions will be removed. Added Polished Arunic Ore to Vanguard Request reward: Brilliant Enchanting Crate. 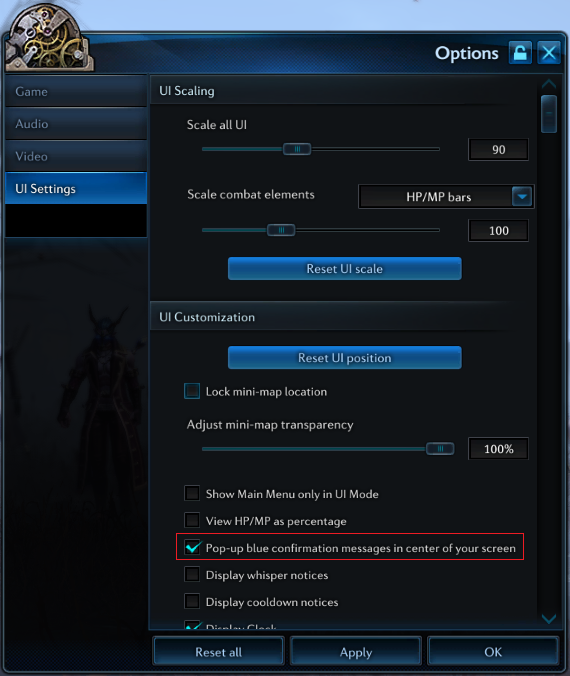 Clarified ‘UI Settings’ option that sets the position of blue-window confirmation pop-ups.